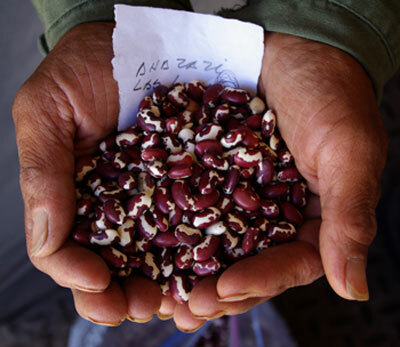 (Anasazi Cave Bean, Pole Beans, Aztec Bean, New Mexico Cave Beans, Appaloosa) This is a 1,500 year old cultivar that is attributed to the pre-contact cave dwellers living in the Southwestern United States. 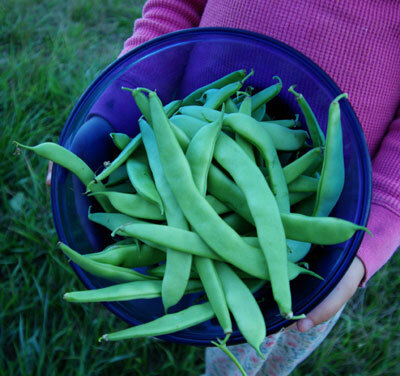 The cave bean turned out to be a vigorous pole bean that makes flattened green beans that may be steamed to make an awesome dish. 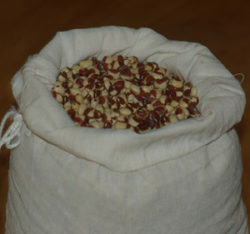 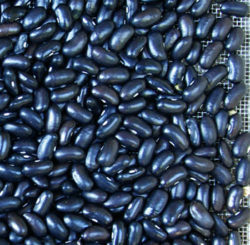 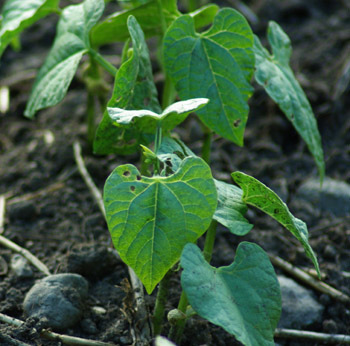 If allowed to mature and dry, the beans that result may be soaked overnight and slow-cooked the next day to make an incomperable chili dish. 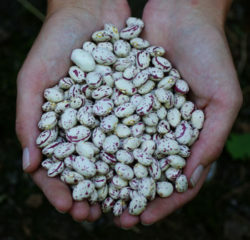 The beans taste sweet and creamy (like a Pinto Bean) and cook to a smooth texture. 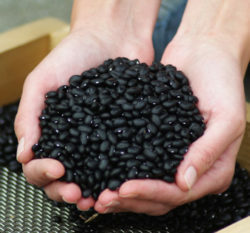 They cook a bit more rapidly than modern dry beans, and they are less gassy.